And I’ve never actually eaten a strawberry shortcake. Now, the only thing this oatmeal has in common with the dessert is the strawberries, but it’s so creamy and satisfying that I took a little artistic license. If you haven’t realized it by now, I really love coconut milk. I think it makes everything taste better, especially oatmeal. So, it makes an appearance here. And strawberries cut into the shape of hearts are somehow more fun to eat. Just carefully core the stem out by using a sharp knife to cut a circle around it. That will create the indent for the heart, so you just have to slice vertically, and voila. 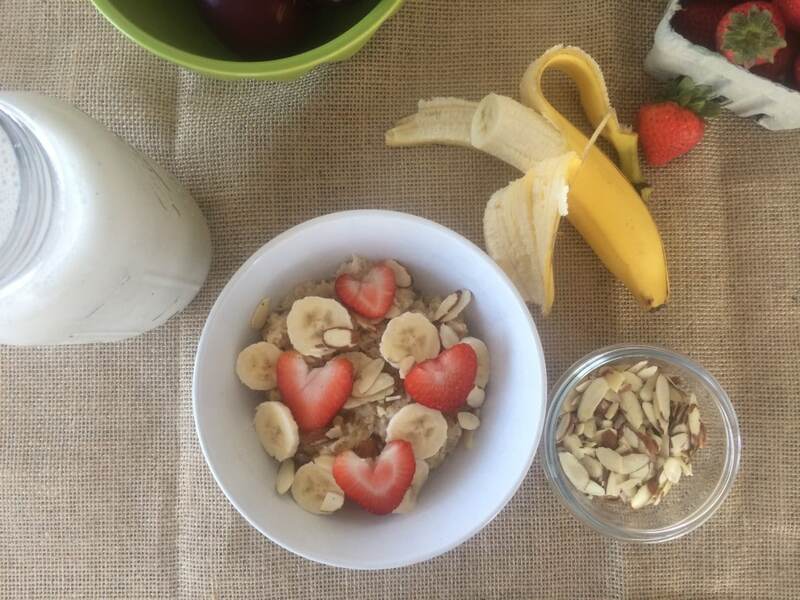 This is a very easy weekday breakfast to jazz up a boring bowl of oatmeal. Bring water to a boil in a small pot, and add oatmeal cooking according to package directions. When oatmeal is done, transfer to a bowl and stir in cinnamon and coconut milk. 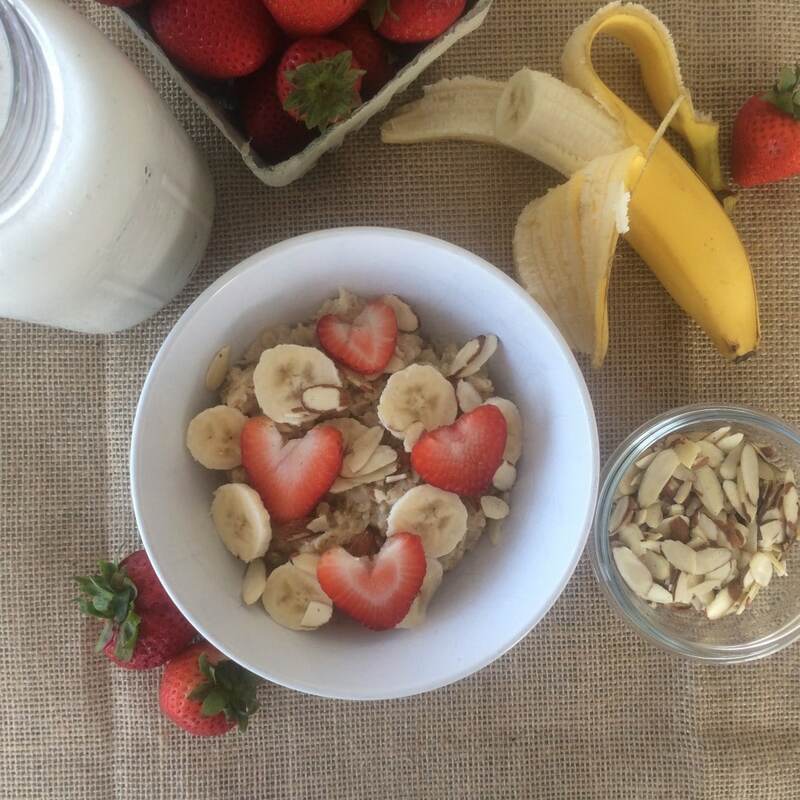 Top with strawberries, banana, and almonds.